New Delhi November 9, 2012: Governments continue to pretend ignorance about the sick buildings having asbestos, the death of Howard Willems, a building inspector who had asked his Saskatchewan provincial government in Canada to release a list of public buildings that contain asbestos underlines the significance of his demand. He died on November 8 from mesothelioma, a form of cancer that develops from inhaling asbestos fibres. 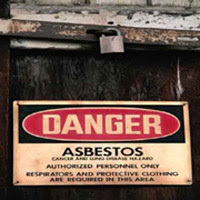 In India, no building is marked asbestos due to the collusion between Government agencies and the asbestos companies. ToxicsWatch Alliance (TWA) demands that all the buildings having asbestos must be marked with asbestos sign and a Danger Symbol. TWA demands that details about asbestos containment in public buildings be listed online. Before his death, Howard Willems said in media interviews last week that people should know if they’re going into buildings that have asbestos — especially if there is construction work. In India, asbestos continues to be used in the buildings all the constructions workers, labour inspectors and residents under those buildings are under threat of exposure of asbestos fibers. In India, National Human Rights Commission (NHRC)’s notices on gnawing public concerns from lung cancer causing asbestos have been ignored in general.Howard Willems died after a long battle with mesothelioma, a rare form of cancer that comes from inhaling asbestos fibres. Willems used to work as a building inspector for 31 years. Willems had said the buildings he entered were not marked and there was no warning on the insulating material. 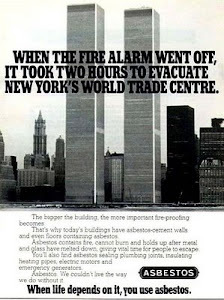 He added he would have taken steps to protect himself had he known there was asbestos in the buildings he inspected. Ongoing anti-asbestos struggle in Bihar and Odisha shows that if the governments do not act to save public health informed citizens and villagers can act to stop such hazardous factories which are harmful to the present and future generations. In a related development, District Magistrate, Vaishali, Bihar has convened a meeting with Khet Bachao Jeevan Bachao Jansagharsh Committee, Vashali on October 10, 2012 to hear villagers’ grievance against the proposed asbestos based factory of Utkal Asbestos Limited. Revealing growing awareness about hazards from asbestos fibers, the news report on the delivery of the INS Vikramaditya, a former Russian naval aircraft carrier (formerly Admiral Gorshkov) dated Sep 17, 2012 published in DefenseWorld.net stated, “India refused to use asbestos to protect the boilers from heat, fearing that the material was dangerous for the crew" according to Russian officials. The statement of the official spokesperson for the Indian Navy, Commander PVS Satish, read: “There is no question of India’s refusal to use of asbestos since it’s internationally banned. At the time of signing the contract, it was simply specified in the agreement.” This merits serious attention of the Indian ministries of commerce, finance and rural development which have been promoting its use despite concerns expressed by ministries of environment, labour, chemicals and health besides Kerala State Human Rights Commission. It is noteworthy that Russian company is the largest supplier of asbestos to India unmindful of the fact that almost the entire developed world has banned its use. 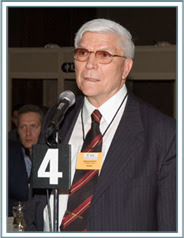 It has come to light that on September 7, 2011, the Russian Justice Ministry promulgated a law (standard SanPiN1 2.2.3.2887-11) that recognized the hazard posed by chrysotile asbestos and chrysotile-containing materials. SanPiN stands for sanitary/epidemiological rule and standard. SanPiN is a standard issued by the Russian authorities responsible for the regulation of the manufacture and use of, and exposure to, chemicals. In the recent past, Russian asbestos companies have frustrated efforts by the WHO to adopt measures to prevent future asbestos-related diseases and regulations by UN’s Rotterdam Convention. In June 2011, a technical regulation drafted by the Russian Federal State Unitary Enterprise proposed a ban on asbestos in friction materials, enforceable throughout the Eurasian Economic Community, members of which include Russia, Kazakhstan, Kyrgyzstan, Tajikistan and Belarus. The adoption of standard SanPiN 2.2.3.2887-11 signals the beginning of the end of Russian asbestos production. ToxicsWatch Alliance (TWA) hopes that Russian Government will succeed in resisting the harmful influence of Russian asbestos industry. It is strange that Russian authorities who are rightly planning to ban asbestos allowed presence of asbestos in INS Vikramaditya, a former Russian naval aircraft carrier (formerly Admiral Gorshkov) although asbestos use is banned by International Maritime Organisation and World Health Organisation (WHO) and International Labor Organisation (ILO) has called for elimination of all kinds of asbestos. Meanwhile, in a significant development, a former French leader Martine Aubry has been charged with manslaughter and is under investigation for failing to protect industrial workers from asbestos. 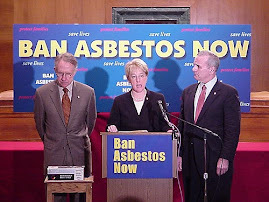 According to the news article published in Expatica, November 7, 2012, “Aubry was accused of having helped to delay the implementation in France of a 1983 European Union directive designed to strengthen the protection of workers dealing with asbestos.” Aubry denied the charges and allegations against her, stating it is a “profound insult to who I am and the professional and political choices I have made throughout my life.” Martine Aubry, the former leader of France's governing Socialist Party, has been charged with manslaughter in a probe into whether state negligence contributed to thousands of deaths caused by asbestos exposure. The charges against Aubry relate to her time as a senior official in the ministry of social affairs, a major figure in French politics. As the ministry's director of industrial relations from 1984-87, Aubry is accused of having helped to delay the implementation in France of a 1983 European Union directive designed to strengthen the protection of workers dealing with asbestos. 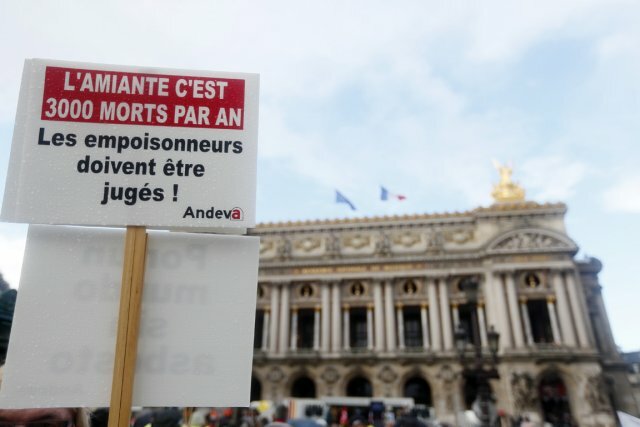 Aubry bowed to pressure from industrialists lobbying against a complete ban on the use of the material and that she ignored warnings from French health authorities of a mushrooming epidemic of cancers and terminal lung diseases. Aubry, the daughter of former European Commission President Jacques Delors is caught in a far-reaching probe into how the French authorities handled the emerging evidence of the dangers posed by asbestos between 1970 and 1997, when the material was finally banned. The specific charges against her relate to the case of workers employed at the Fereo-Valeo auto-components factory in Normandy. Asbestos was once widely used for car brake pads. An estimated 3,000 people currently die prematurely every year in France as a result of asbestos poisoning and there have been pessimistic predictions that the death rate could nearly treble over the next decade because of exposure in the 70s and 80s. Aubry was formally charged in the early hours of November 7, 2012. 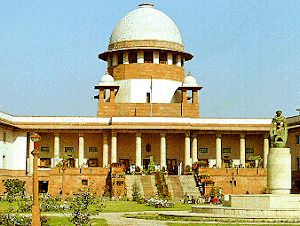 Signaling the possibility of Indian asbestos manufacturers facing a similar fate, in a path breaking judgment, an Italian court in Turin convicted Schmidheiny, a Swiss tycoon and De Cartier, a Belgian baron of negligence over some 2,200 asbestos-related deaths on February 13, 2012. The court held that the two had failed to comply with safety rules at building firm Eternit, where they were key shareholders. Their charges carry a maximum 12-year term. Eternit closed its operations in Italy in 1986 - six years before asbestos was banned in the country. It is noteworthy that the National Human Rights Commission (NHRC) had issued notices on July 6, 2011 on banning the use of white asbestos, to all states and territories along with several Union Ministries and asked them to file a status report on it within four weeks. The NHRC's action came as it took cognisance of a complaint by TWA alleging that around 50,000 people die every year in the country due to asbestos related cancer. Only the States of Mizoram, Nagaland and the National Institute of Occupational Health Ahmedabad have submitted the reports. The NHRC issued reminders on 21st May, 2012, returnable in six weeks, to the Chief Secretaries of all States/Union Territories and other concerned authorities at Centre who have failed to submit requisite reports so far. NHRC's intervention has been sought for a ban on the use of Chrysotile Asbestos known as white asbestos, which is hazardous for the health and causes various incurable diseases. In the complaint, contradictory position of the government has been cited on the issue and alleged that though mining of asbestos has been technically banned by the government, the government allows its import and that too from the countries which do not prefer its domestic use. TWA, the complainant has also requested for grant of a compensation package for present and future victims of asbestos related diseases. The NHRC has issued notices to secretaries of Ministries of Chemical Fertilizers, Environment and Forest, Health and Family Welfare, Industry and Commerce, Labour and Chief Secretaries of all the States and Union Territories. The white asbestos is a fibrous material used for building roofs and walls. White asbestos is considered a hazardous chemical substance for human lung and over 55 countries in the world have banned its use. However, it is being used in a number of industries like construction in India, affecting the workers, their families, communities in the vicinity of the asbestos based factories and consumers.